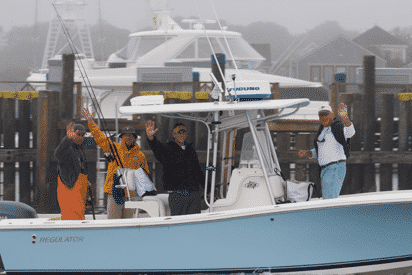 Bill Fisher Outfitters offers many different charter options for the fisherman on Nantucket. Our typical inshore charters are 4 hrs, though we do offer 3hr evening charters or local charters where we stay around Madaket. We also offer Bass fishing in the Offshore Rips. These fish are typically 4-5 hours and if you are a bass enthusiast and the conditions are right, it is a must. If you are looking for fluke/bass and don’t want to head all the way to the offshore rips, stay on the East Side and target bass and Fluke. 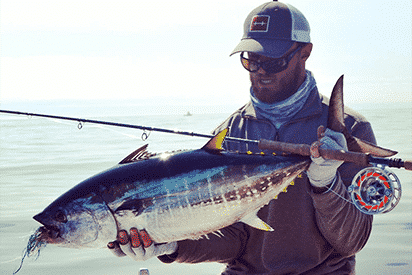 Offshore Tuna and Shark charters are on average 8-10hr in length, roughly fishing 15-40 miles offshore. Please find the rates and policies below! Refillable water bottles. We do have water on board, but we are trying to be thoughtful about plastic consumption. ***We do provide three hour options if you have young children or need a shorter trip for some reason. Departure times vary depending on tide, time of year, and species sought. Capt. Bill/Capt. Corey will consider all variables in order to give you the best possible time to fish. Bill Fisher Outfitters accepts both cash and check. Please make checks payable to “Bill Fisher Outfitters”. 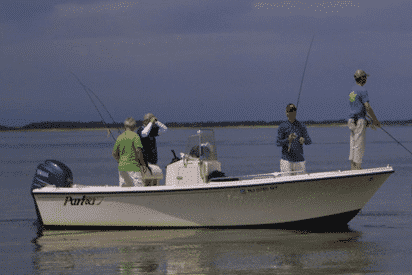 Bill Fisher Outfitters reserve the right to cancel any charter due to weather. Cancellation Policy is as follows: No charge for a charter cancelled 7 or more days prior to scheduled trip. 50% charge if cancelled 2-7 days prior. 100% charge for charters cancelled within 48hrs of scheduled charter. 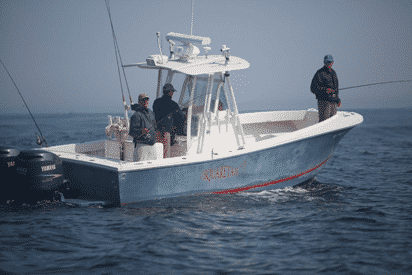 MADAKET MARINE: Take Madaket Road west for approximetly 4 miles. As you travel down Madaket road you will pass the Landfill/dump on your left, Long Pond, and you will see a Madaket Marine sign on your right. That is North Cambridge Street. take a right there and in in 200 yards Madaket marine will be on your left. Pull in amongst the boats, find a place to park and please LEAVE YOUR KEYS IN YOUR CAR!